His best songs are "Do Me No Wrong" and "Long Gone Daddy", two great Rockabillies he recorded in 1956 for a subsidiary company of Modern (singles RPM 461 & 473). Pat Cupp's band, The Flying Saucers, consisted of Johnny Gratlin (guitar), Ruth Cupp (piano), Pete Walker (bass), and J. O. Livsey (drums). 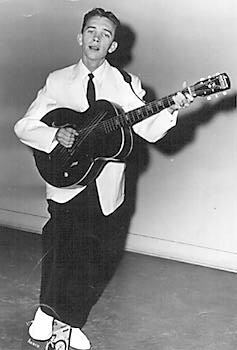 Pat Cupp went to the Louisiana Hayride in 1956 but had no success at all. In the early senventies, Ron Weiser from Rollin' Rock, done a new edition of several singles (Rollin Rock 002/003/009). Some other titles, were released on the US album Crown CLP 5364 "Ray Smith and Pat Cupp", but the easiest way today is to buy the splendid british 10 inch "Modern Rockabilly" Ace 10 CH 32 within five titles with slappin' bass: "Long Gone Daddy", "Do Me No Wrong", "Baby Come Back", "That Girl Of Mine" and "I Guess It's Mean That Way". Real Rockabilly in its best splendour!